CALCASA and the Partnership have a bold vision to end sexual and domestic violence in our state. We advocated for new state funding to make this vision a reality. JUNE 13 UPDATE: Your advocacy worked! Read our statement on the exciting result of our statewide budget campaign. Advocates, legislators, social justice partners, and everyday Californians worked hard to make this happen. We are incredibly grateful for your support, and encourage you to continue engaging with the movements to end sexual and domestic violence. Prevention Strategies: Our state must become proactive and stop violence before it happens. With community education, organizing, leadership development, and other strategies, we can change social norms and support young people in practicing respectful relationships. Comprehensive Wrap-Around Services: We must provide expanded services that support survivors beyond an immediate crisis, and fund service delivery approaches that holistically meet the needs of survivors. This includes approaches like flexible housing financial assistance—a necessary element for the many survivors of sexual and domestic violence whose trauma has interrupted their careers and education. Research and Innovation: California must support research to make justice and healing meaningful for survivors. By funding emerging practices, we can explore accountability alternatives to the criminal legal system and more. Research and evaluation of programs can also help identify and articulate the impact of services. 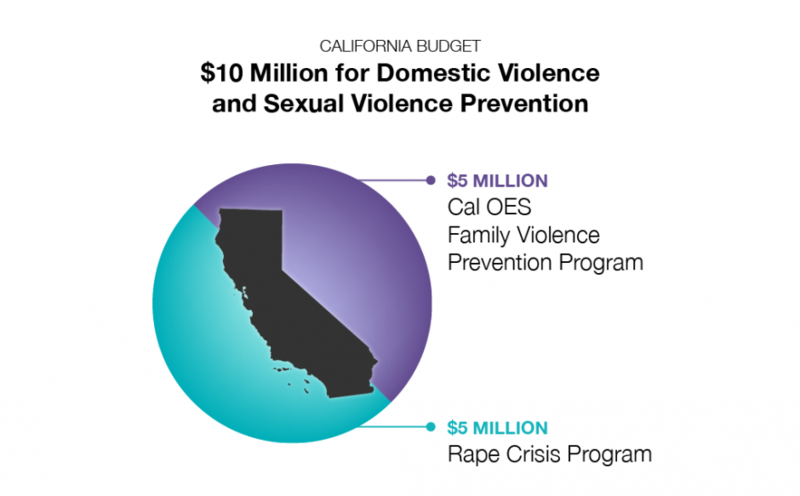 The costs of sexual and domestic violence are astronomical: sexual violence costs the state of California $140 billion, and domestic violence costs the U.S. $460 billion a year. 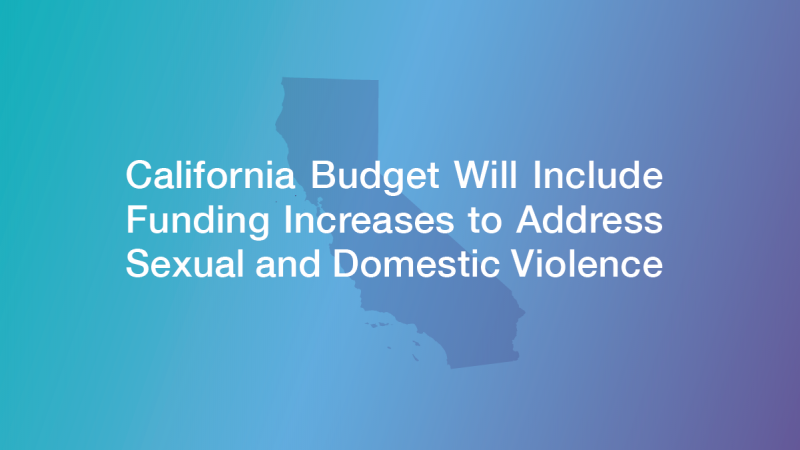 It’s time for California to invest in prevention, prevent future incidents of sexual violence, improve services, and reduce the costs of sexual and domestic violence to victims, and our communities.